House closed from November to beginning March but available for exclusive parties. 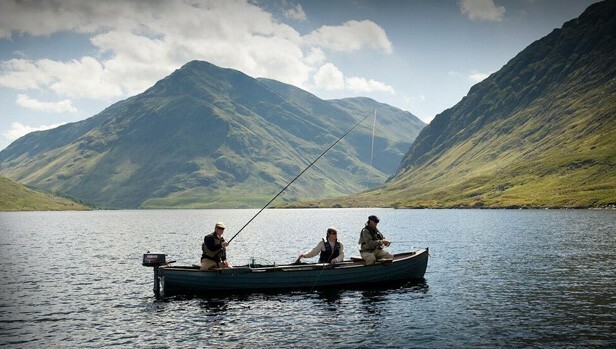 The Delphi Fishery is one of the most sought-after salmon fisheries in Ireland. It consists of a river and two lakes and these are fished in rotation on a half-daily basis. The river is famous for the clarity of its water. This makes it fishable with the fly almost every day of the long season from February to September. The fishery operates a highly successful salmon hatchery. This has consistently trebled, or better, the natural runs of salmon, including the spring run. The spring fish start running even before the season opens and the grilse start running in June with the peak of that run in late July and August. It gets a small run of sea trout. The fishing is “fly only” and the favourite salmon fly is a Collie Dog. Advanced booking is strongly recommended. 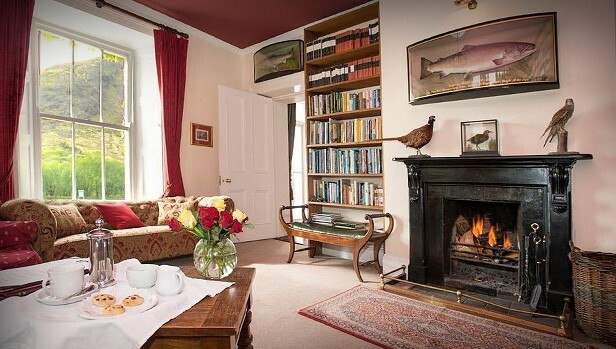 A delightful 1830s country house and fishing lodge in one of the most spectacular settings in Connemara Ireland. 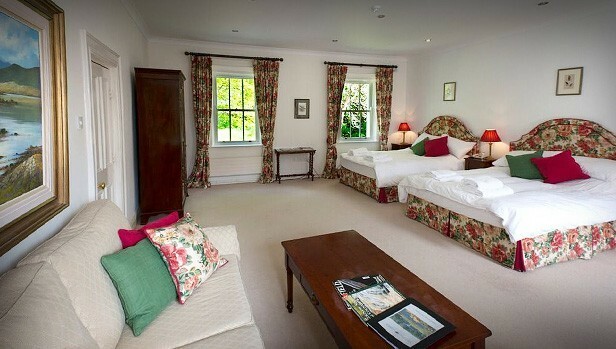 It offers charming accommodation, glorious scenery, great food and total tranquillity. 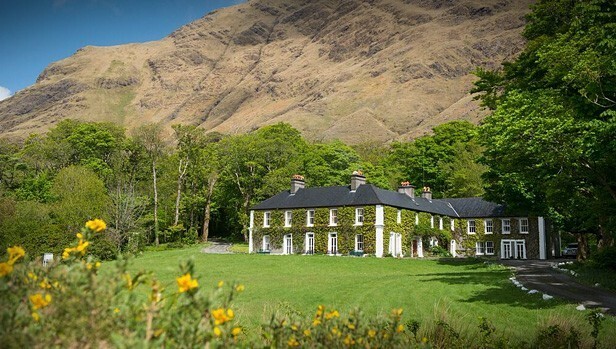 Located in a wild and unspoilt valley of extraordinary beauty, the 1000-acre Delphi estate is one of Ireland’s hidden treasures. 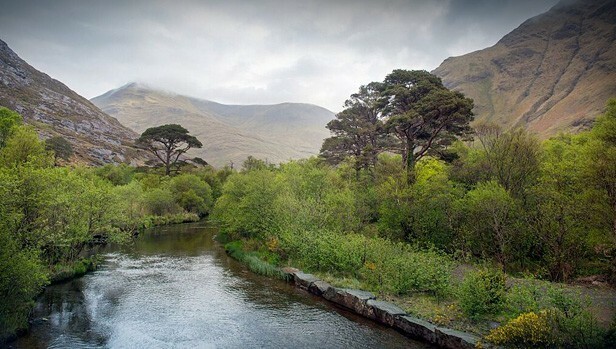 The historic lodge, famous as a holiday hideaway, is surrounded by the tallest mountains in Connemara and overlooks the lakes and rivers of the Delphi valley famous for their salmon and seatrout fishing.